Chevron Corp. agreed to buy Anadarko Petroleum Corp. in a US$33 billion bet on shale oil and liquefied natural gas that’s the industry’s biggest deal since 2015. Chevron will acquire all outstanding shares in Anadarko for US$65 each, paying with a mixture of cash and its own stock. That’s a premium of 39 per cent to the closing price on Thursday and Anadarko’s shares soared in pre-market trading. Chevron is making a double bet on what many industry observers consider the future of Big Oil in the next decade. The deal announced on Friday adds acreage and production in the prolific Permian shale basin of West Texas and southeast New Mexico and expands the company’s presence in the Gulf of Mexico. It also increases its exposure to LNG at a time when the fight against climate change is making natural gas the preferred fuel. Some of Anadarko’s assets may be sold after the deal closes, the company said. Anadarko has long been rumoured to be a takeover target of the world’s largest oil companies, offering a suite of assets including a massive LNG facility in Mozambique that is racing against an Exxon Mobil Corp. project to be first to be operational in the country. This is the biggest takeover in the oil and gas industry since Royal Dutch Shell Plc’s US$61 billion bid for BG Group in 2015, according to data compiled by Bloomberg. It will be in the top ten deals in the sector of all time, the data show. Chevron’s last comparable transaction was its takeover of Texaco Inc. announced in 2000. In oil and gas production terms, the deal puts Chevron neck-and-neck again with Royal Dutch Shell Plc for the title of the second-largest integrated major oil company, slightly behind Exxon. 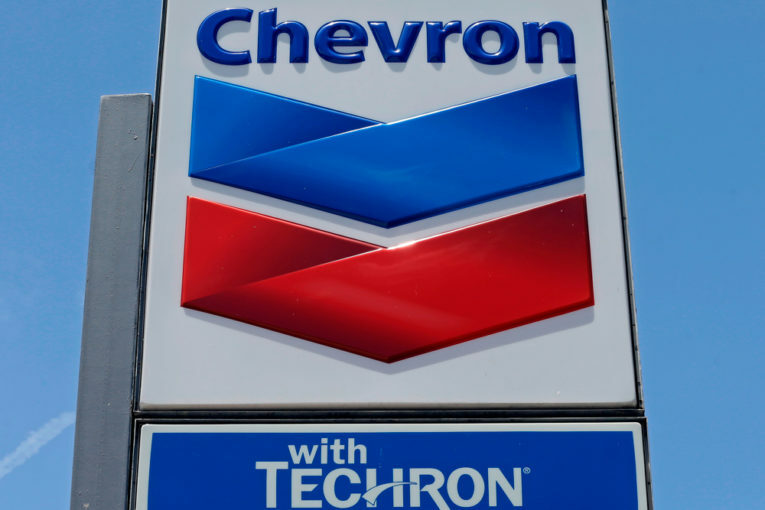 Chevron said the combined entity in 2018 would have had output of 3.596 million barrels equivalent of oil, compared with Shell’s 3.666 million. Exxon reported average production last year of 3.833 million. “The combination of Anadarko’s premier, high-quality assets with our advantaged portfolio strengthens our leading position in the Permian, builds on our deep-water Gulf of Mexico capabilities and will grow our LNG business,” Chevron’s Chairman and Chief Executive Officer Michael Wirth said in a statement. Investors will receive 0.3869 shares of Chevron and US$16.25 in cash for each Anadarko share. Chevron will issue 200 million shares and pay US$8 billion in cash. The company said it will also assume about US$15 billion of net debt, giving Anadarko an enterprise value of US$50 billion. Chevron expects the deal to add to free cash flow and earnings per share one year after closing, at US$60-a-barrel Brent. The company said will boost its share repurchase rate by US$1 billion to US$5 billion per year upon closing of the deal. It expects the transaction to achieve run-rate cost synergies of US$1 billion before tax and capital spending cuts of US$1 billion within a year of closing. The company will sell US$15 billion to US$20 billion of assets between 2020 and 2022 in order to reduce debt and return additional cash to shareholders. The deal is expected to close in the second half of the year, subject to Anadarko shareholder approval, regulatory approvals and other customary closing conditions. Credit Suisse Group AG was financial adviser to Chevron while Paul, Weiss, Rifkind, Wharton & Garrison LLP was legal adviser. Evercore Inc. and Goldman Sachs Group Inc. advised Anadarko alongside law firms Wachtell, Lipton, Rosen & Katz and Vinson & Elkins LLP. Prairie Provident Confirms Shareholder Consent Process for Acquisition of Marquee Energy Ltd.